Learn how to make and bottle wine in this hands-on DIY class in the Houston Heights! We will work with seasonal fruit from the weekend farmer’s market, where Fermentation on Wheels will be hanging out this weekend. Wine is versatile — you can make it with many different types of fruits, sugars, and yeasts. We will make a malomel during this class, which is a wine brewed with honey and fruit. 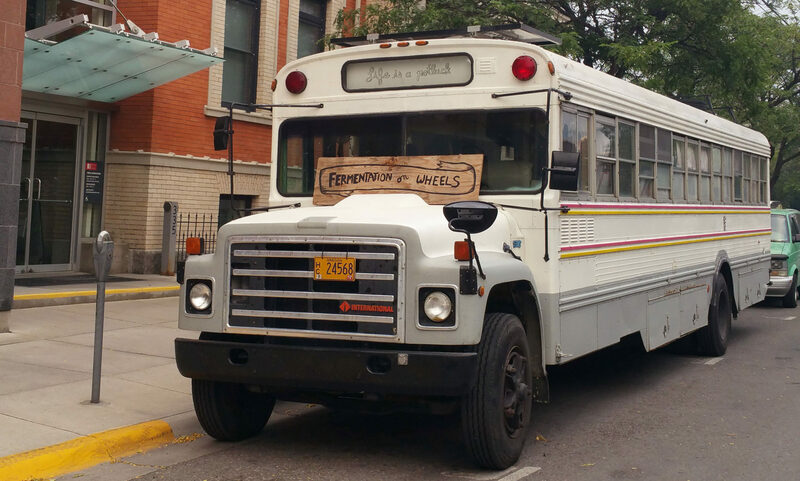 The Fermentation on Wheels bus, a bus-turned-lab, library, and workshop space, will also be present. Attendees are welcome on board to browse the books and taste the creations throughout the evening. This class will feature a special wine tasting on the bus, too, to help get your creative juices flowing on all the wine possibilities. The cost for this class is $50 a person and is limited to 12 students. If you plan to attend, please purchase a ticket on Eventbrite.